Nissin Top Ramen - oriental. 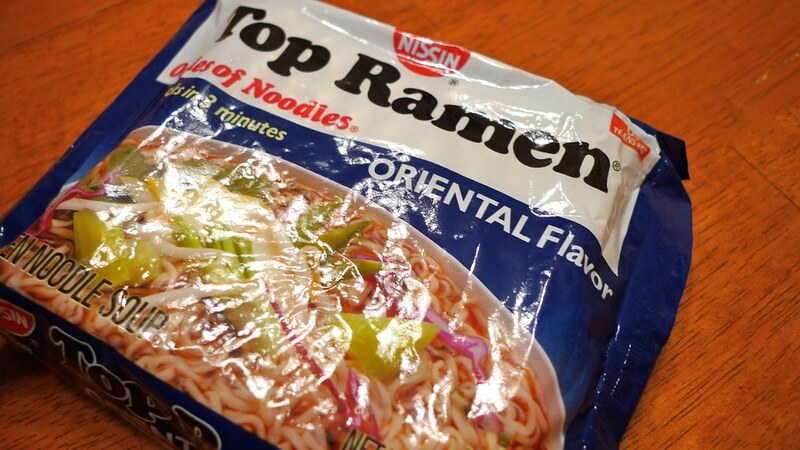 Kicking off Top Ramen Week is my review for the oriental flavor of Top Ramen. 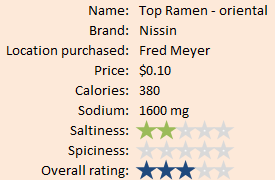 Since most people have eaten it before, this is a good way to tell where I rate other ramen. 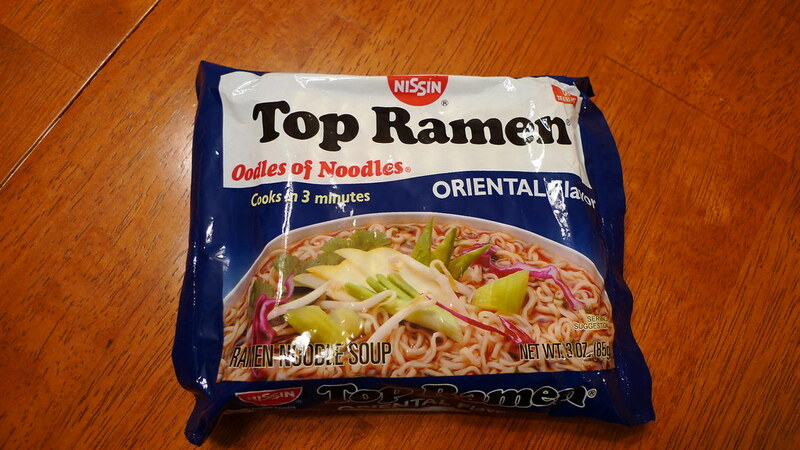 For example, if you like Top Ramen's oriental flavor, you know that you'll most likely enjoy other noodles that I give the same score or higher to. Continue reading by clicking the jump below. Packaging for the oriental flavor of Top Ramen. The packaging for all of Nissin's noodles have changed over the years and they still look good now. Much nicer than their chief competitors here in America, Maruchan. Only two items in Top Ramen packages. Noodles and seasoning. 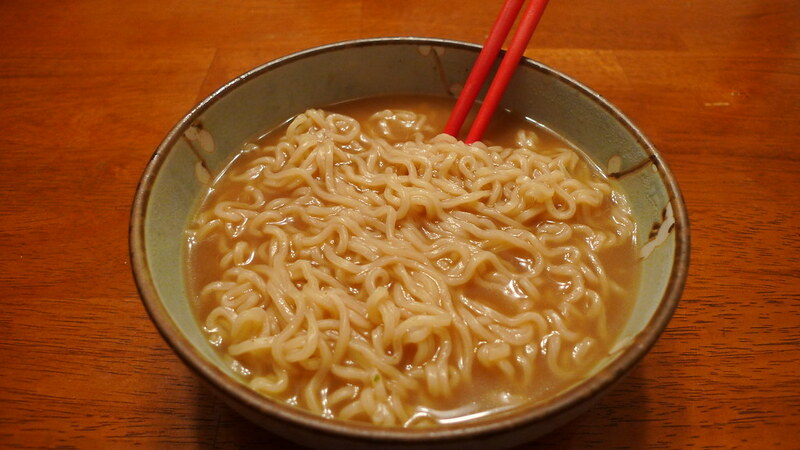 The oriental flavor of Top Ramen is one of the few ramen products that contains no animal products (However, it is manufactured in a facility that also processes milk, egg, peanuts, fish, and shrimp products.). Even Maruchan cannot say the same thing about their oriental flavor as it includes beef in its seasoning packet. 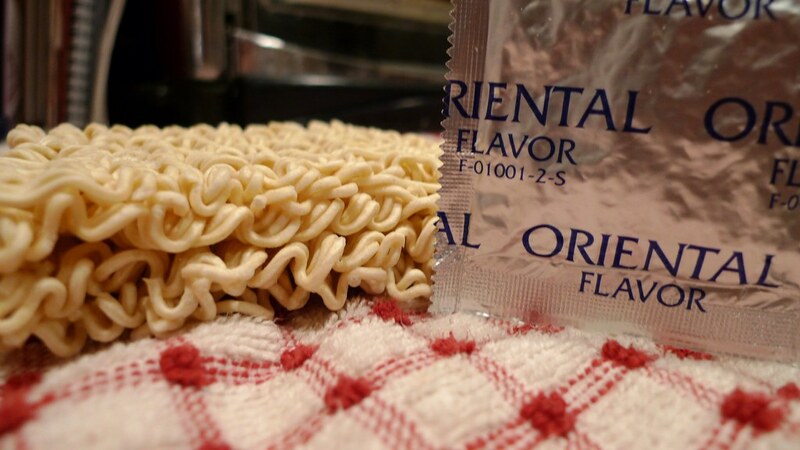 So, how does one describe the oriental flavor? 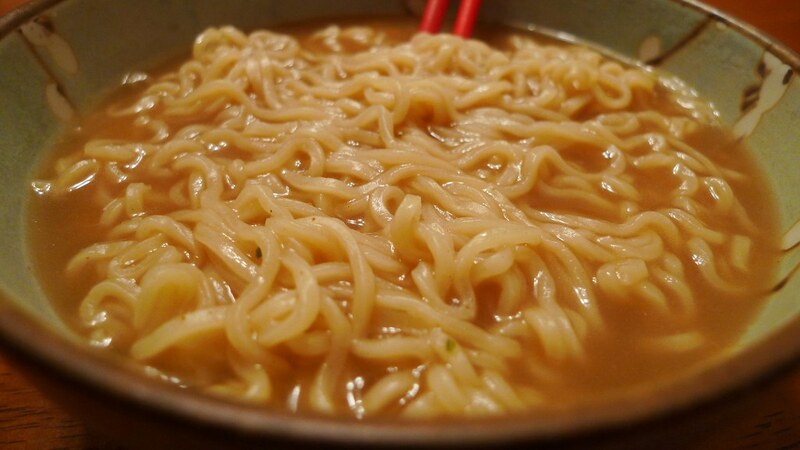 Bowl of Nissin's Top Ramen oriental flavor ready to eat. I think Top Ramen's oriental tastes like soy sauce, garlic, and onion. It's actually quite pleasant, and not overly salty. Not being a vegetarian, I like to put turkey, ham, or beef in my soup sometimes. I almost always put cayenne pepper in it as well. I do not personally add vegetables, but I'm sure that adding onions, cabbage, or celery could enhance the soup as well. Close up of the noodles and soup. Juliana is a fan of the oriental flavor, but I wouldn't say it's her favorite. It's not my favorite Top Ramen flavor either, though when packages are on sale for 10 cents, I will stock up on a few.